When Mary Todd meets Abraham Lincoln in Springfield in the winter of 1840, he is on no one's shortlist to be president. Rough and reticent, he's a country lawyer lacking money and manners, living above a dry goods shop, but with a gift for oratory. Mary, a quick, self-possessed debutante with a tireless interest in debates and elections, at first finds him an enigma. "I can only hope," she tells his roommate, the handsome, charming Joshua Speed, "that his waters being so very still, they also run deep." It's not long, though, before she sees the Lincoln that Speed knows: a man who, despite his awkwardness, is amiable and profound, with a gentle wit to match his genius and a respect for her keen political mind. But as her relationship with Lincoln deepens, she must confront his inseparable friendship with Speed, who has taught his roommate how to dance, dress, and navigate the polite society of Springfield. 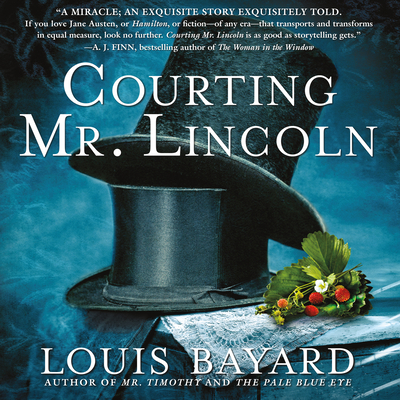 Told in the alternating voices of Mary Todd and Joshua Speed, and rich with historical detail, Courting Mr. Lincoln creates a sympathetic and complex portrait of Mary unlike any that has come before; a moving portrayal of the deep and very real connection between the two men; and most of all, an evocation of the unformed man who would grow into one of the nation's most beloved presidents.